An oil tanker burning in the East China Sea for more than a week has finally sunk, Chinese media say. The Sanchi and a cargo ship collided 260km (160 miles) off Shanghai on 6 January, with the tanker then drifting south-east towards Japan. 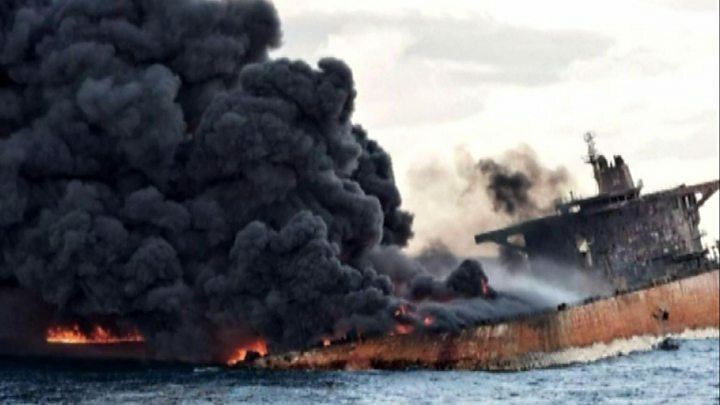 Iranian officials now say all 32 crew members - 30 Iranians and two Bangladeshis - on the tanker are dead. The tanker was carrying 136,000 tonnes of ultra-light crude but Chinese officials say there is no major slick. 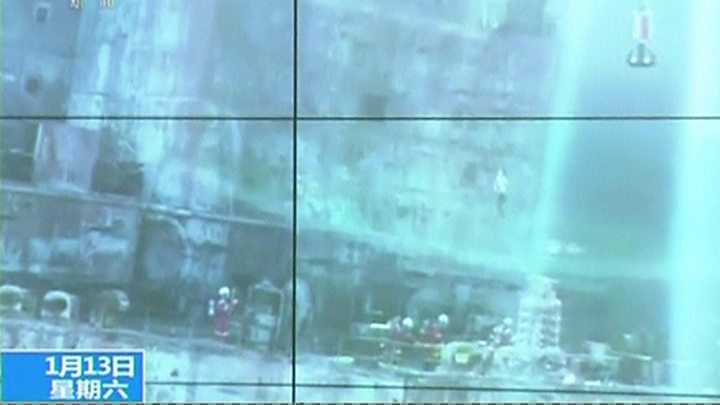 China Central Television said that the Sanchi had gone down after "suddenly igniting" around noon (04:00 GMT). Some 13 vessels and an Iranian commando unit had been taking part in the salvage operation, amid bad weather. A spokesman for the Iranian team, Mohammad Rastad, said there was no hope of finding any survivors. On Saturday, salvage workers had boarded the vessel and found the bodies of two crew members in a lifeboat. Only one other body had been found during the week of salvage operations. The rescue workers retrieved the ship's black box but had to leave quickly because of the toxic smoke and high temperatures. The Panama-flagged Sanchi was bringing the condensate from Iran to South Korea when the collision with the Hong Kong-registered freighter CF Crystal, carrying grain from the US, happened in the East China Sea. The crewmen of the Crystal were all rescued. After the collision the Sanchi drifted at about 2.2km/h (1.4mph), south-eastwards towards the Japanese island of Amami Oshima.